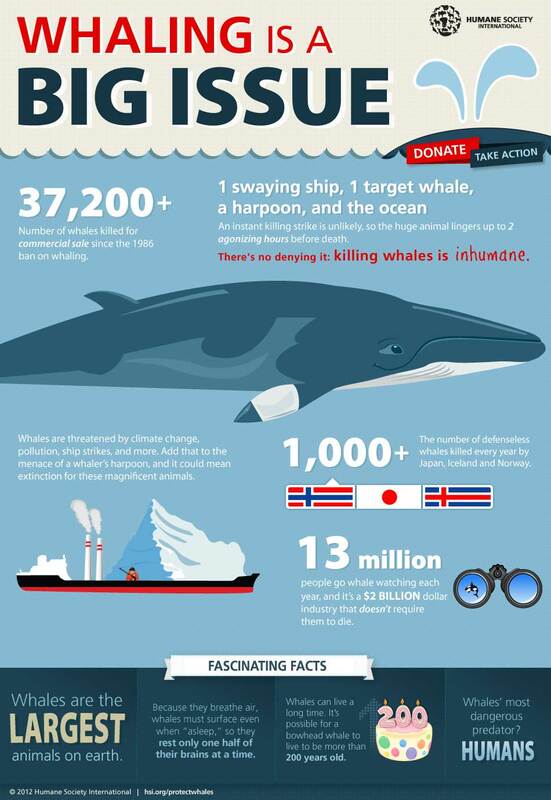 Saving the whales is still a hot topic because they are very special creatures. These beautiful marine animals are unique in size. Whales are actually the largest animals to exist on the planet. In addition, their brains are very big and complex. In fact, their brains have been rated higher than the brains of primates such as chimpanzees, gorillas and orangutans and just below a humans brain. Whales are also highest in the food chain and have been living on earth for over 25 million years. This makes them special to the field of biology. These marine animals are also aesthetically pleasing to look at and are very photogenic. As a result, they are often used in artistic expressions. Whales are still a hot topic for saving because they are cultural, politically and symbolically special. Whales exist in oceans around the planet. These sea mammals are not exclusively found in one spot. This means that no group can really claim the right to kill these animals. These special aquatic creatures also make us feel good when we view them living in their natural conditions. Whales symbolize to us the importance of maintaining ocean life and protecting the environment from water pollution as well. So Your Kids Are Interested In Whales?